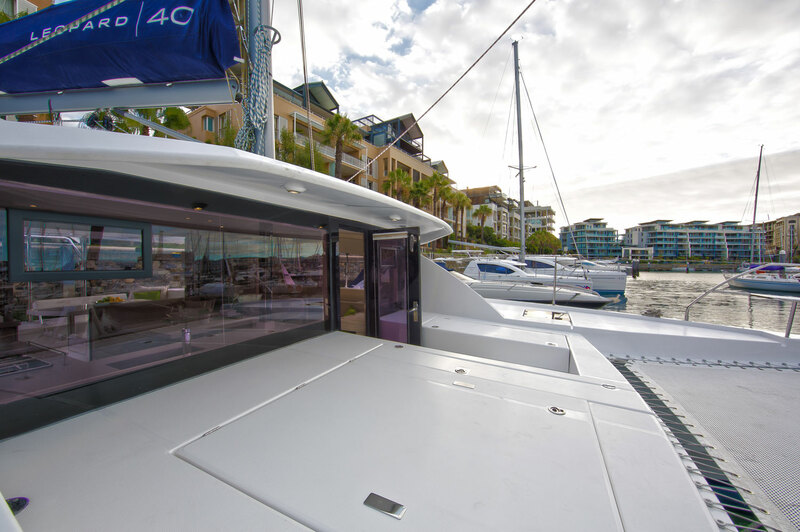 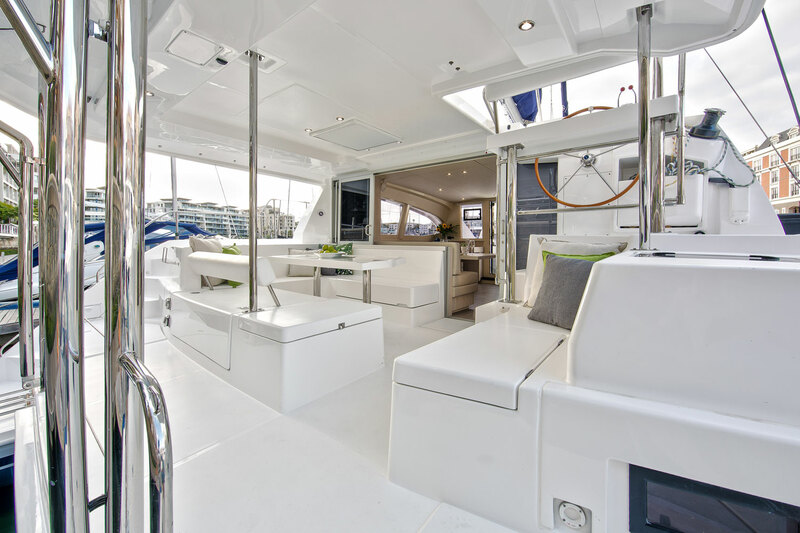 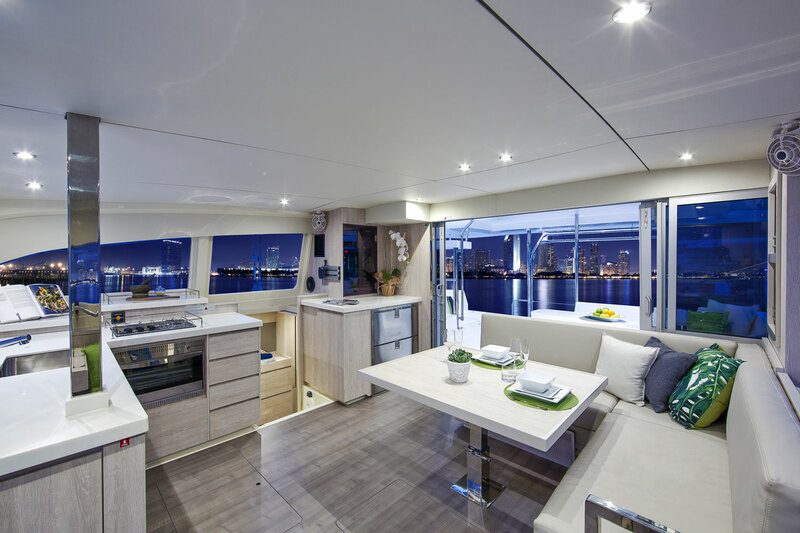 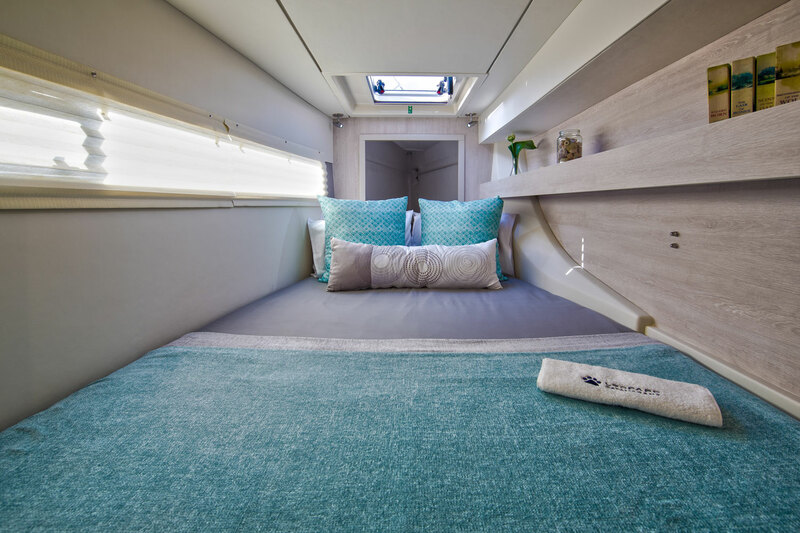 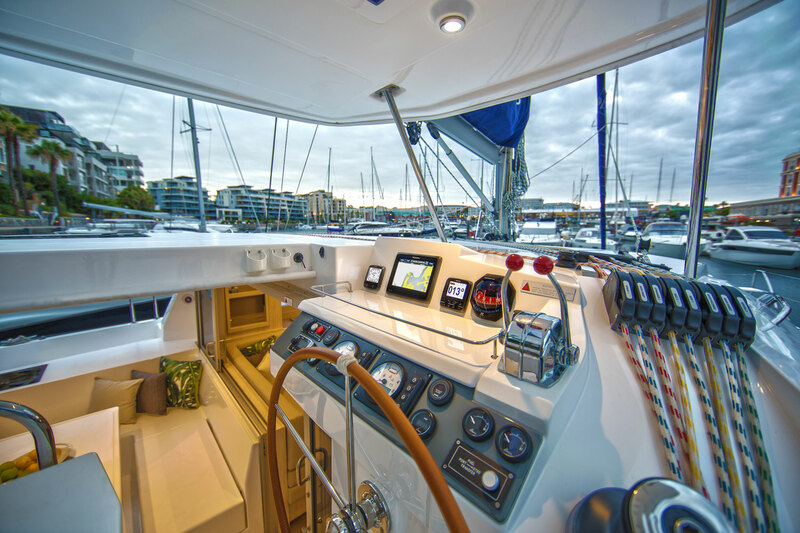 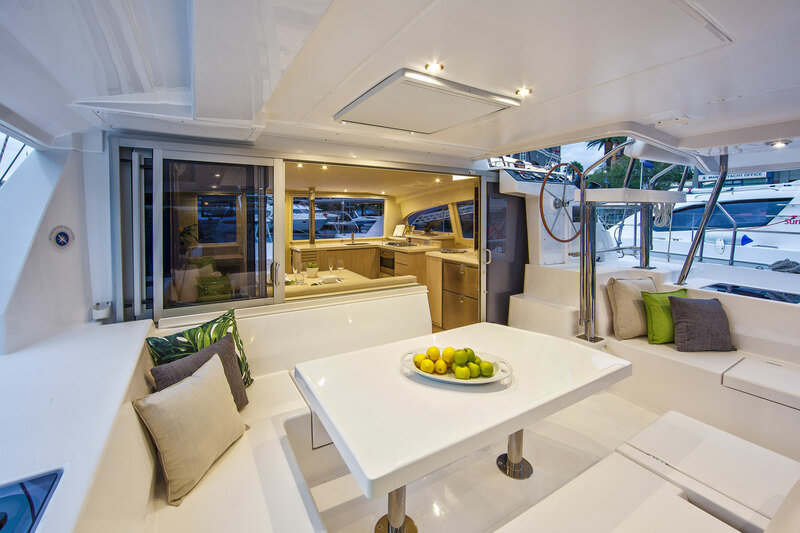 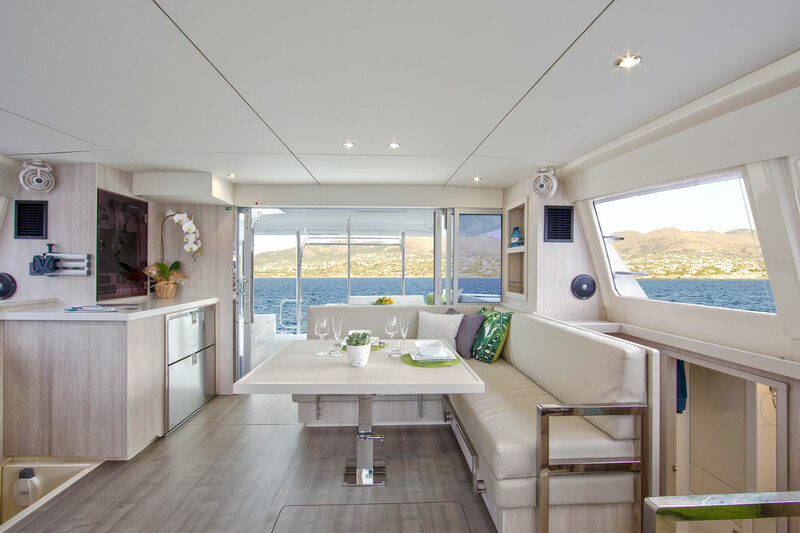 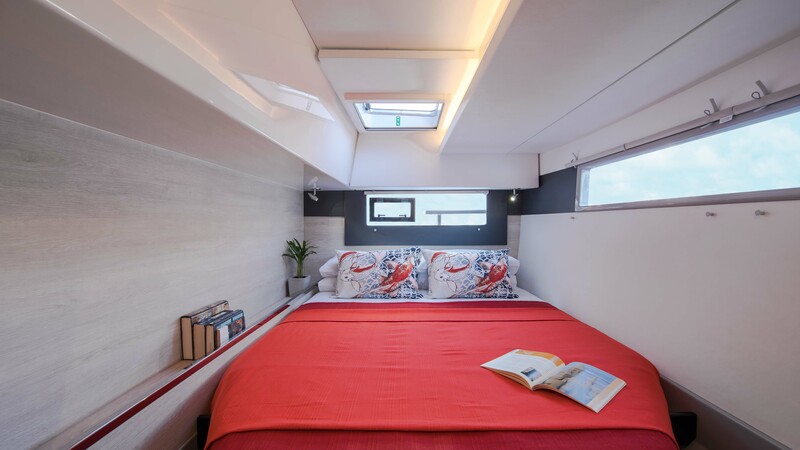 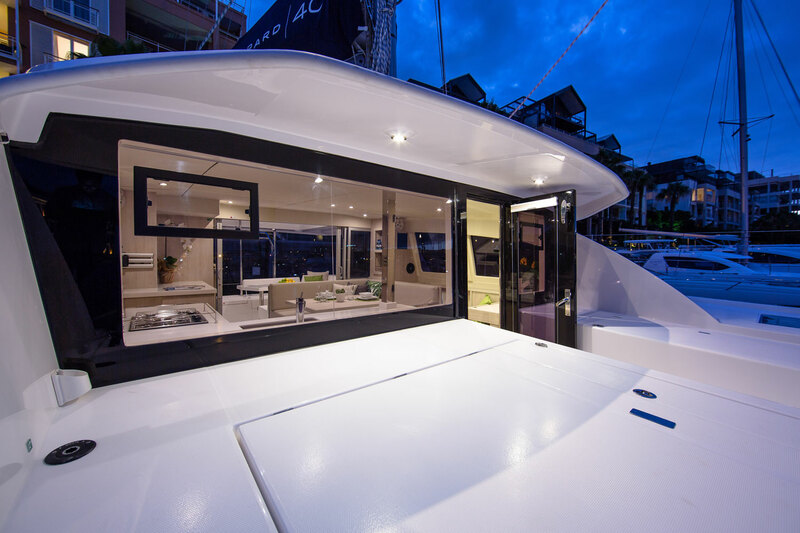 The 4000's interior design is unlike any Moorings cat before her, with a galley located forward and a forward-facing settee located aft. 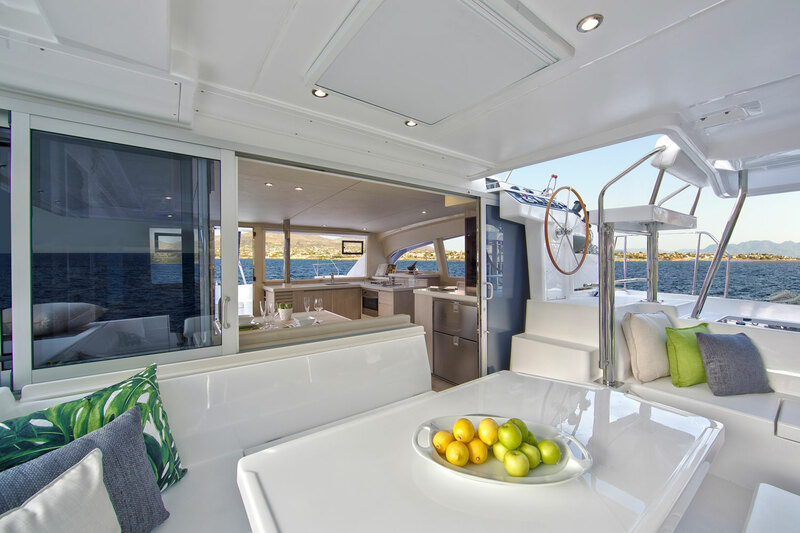 The sliding glass doors between the saloon and the aft cockpit allow for an innovative fusion of indoor and outdoor living space. 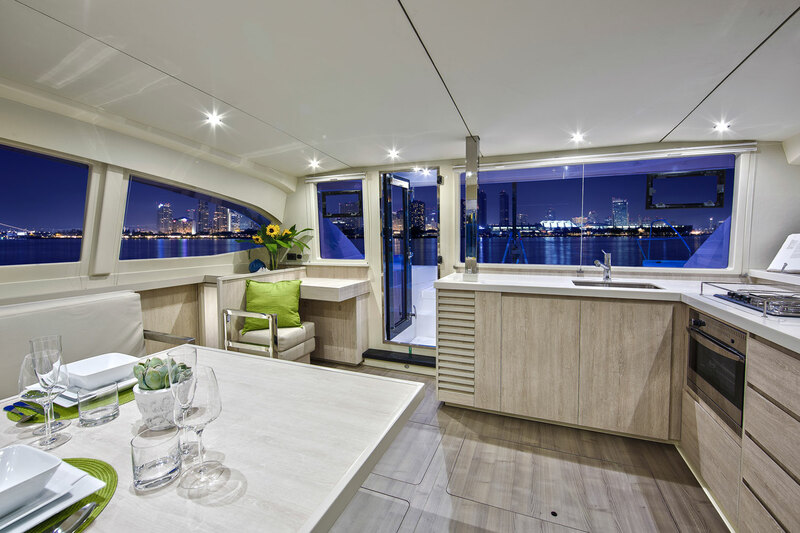 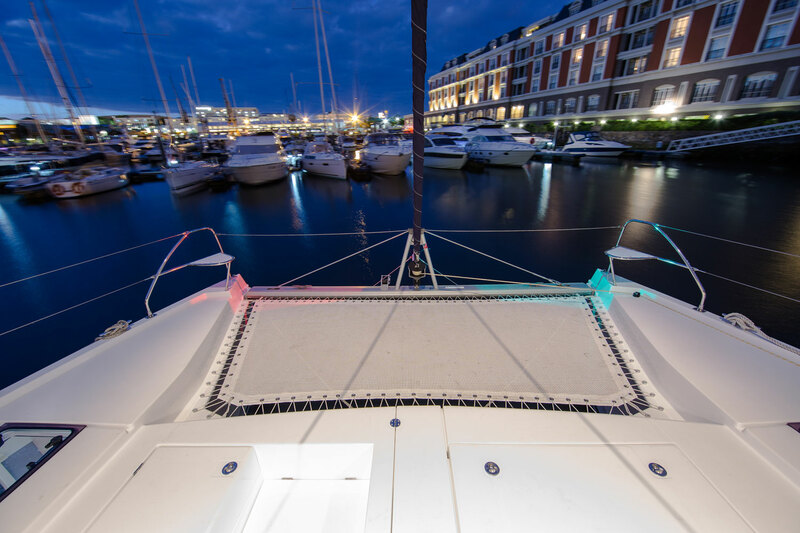 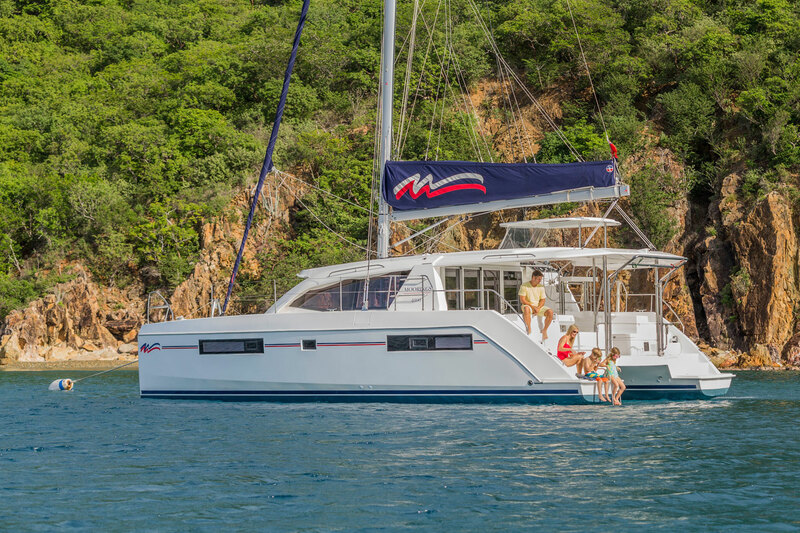 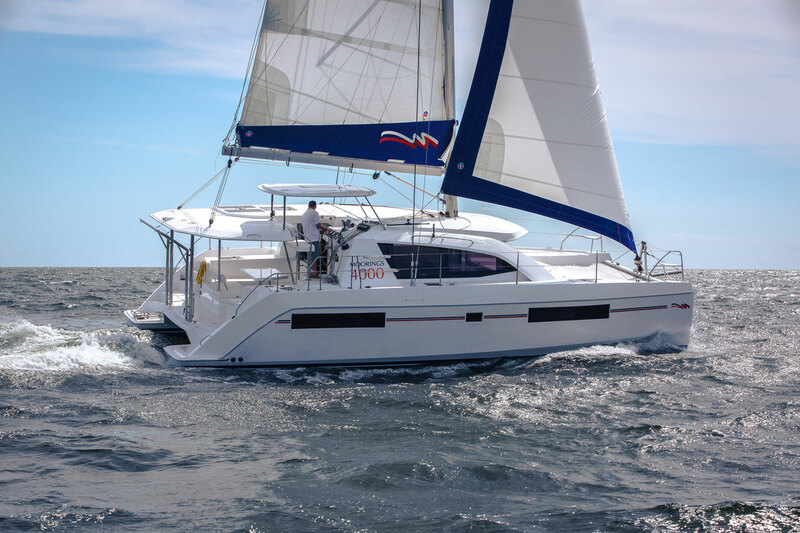 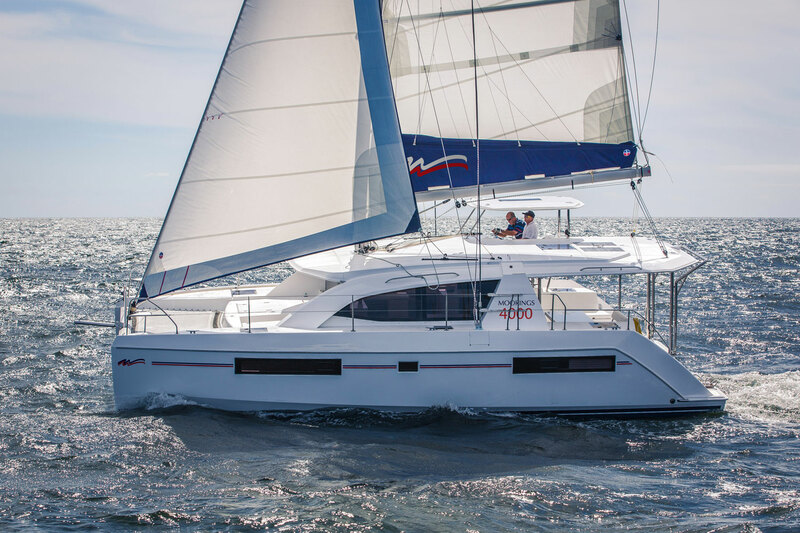 The 3 Cabin version of this new boat has the popular owner's suite in the starboard hull. 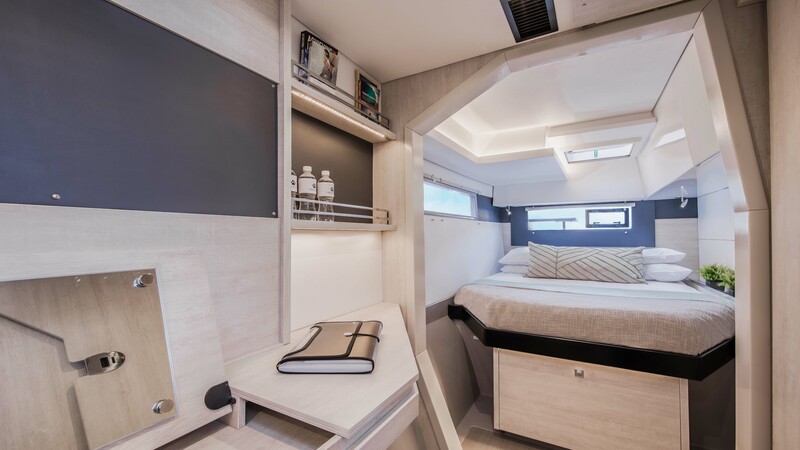 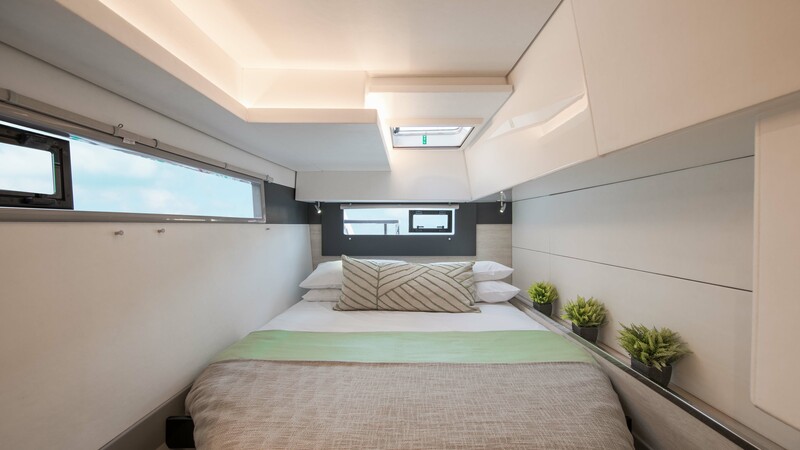 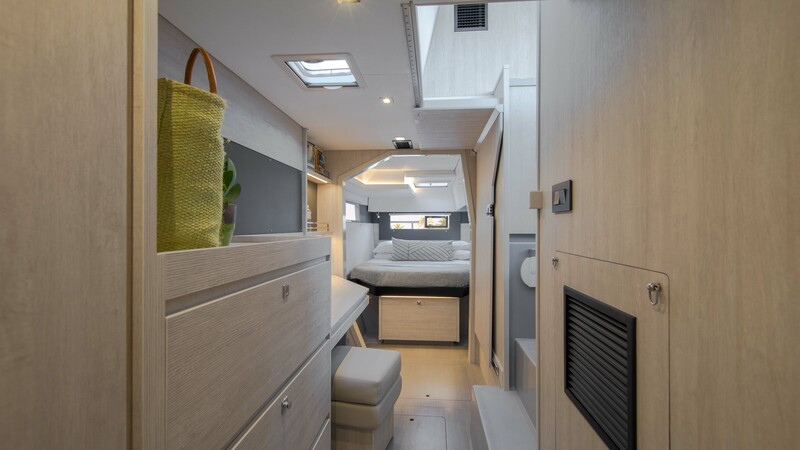 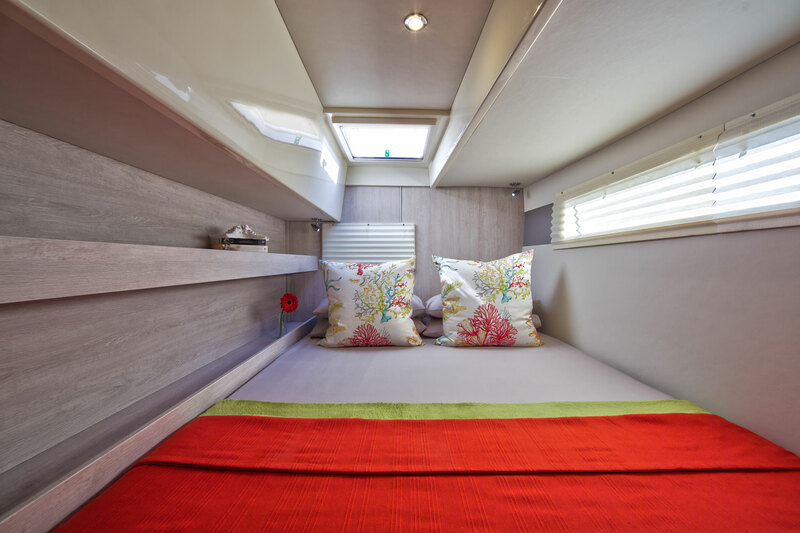 This space includes a large head with stand-up shower, a seating area with storage, and a double berth. 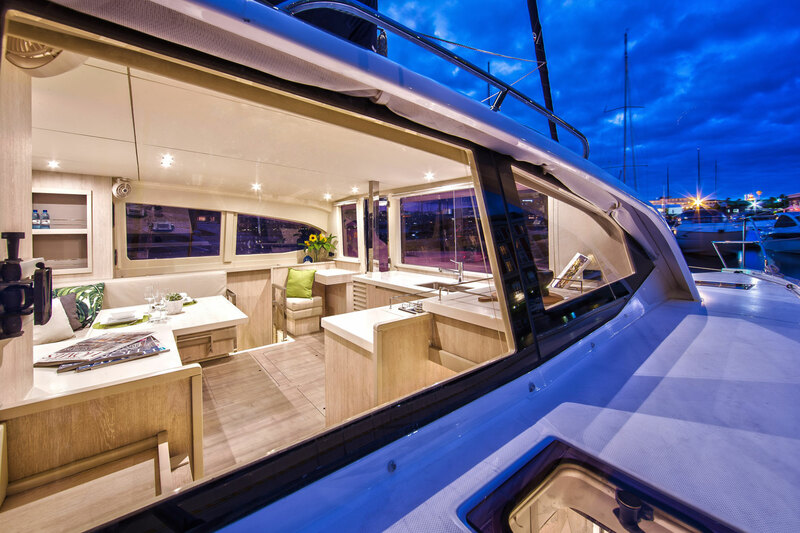 The 4 Cabin version of this boat is available in the Mediterranean.